How To Frame a Gambrel Roof Rafter Watch and learn how to frame a gambrel roof rafter or gambrel roof truss for the gambrel shed plan. 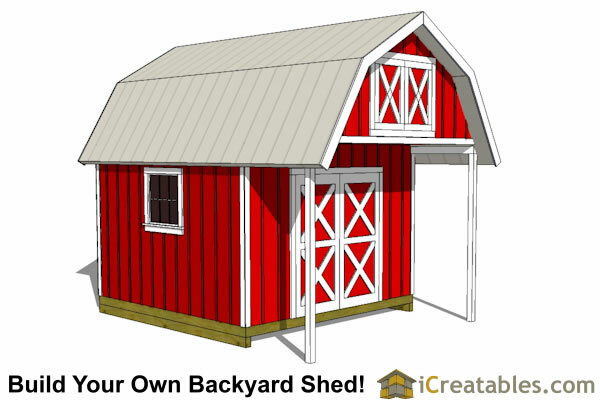 The gambrel barn roof shed plans will help you build the perfect gambrel shed in your yard or garden. 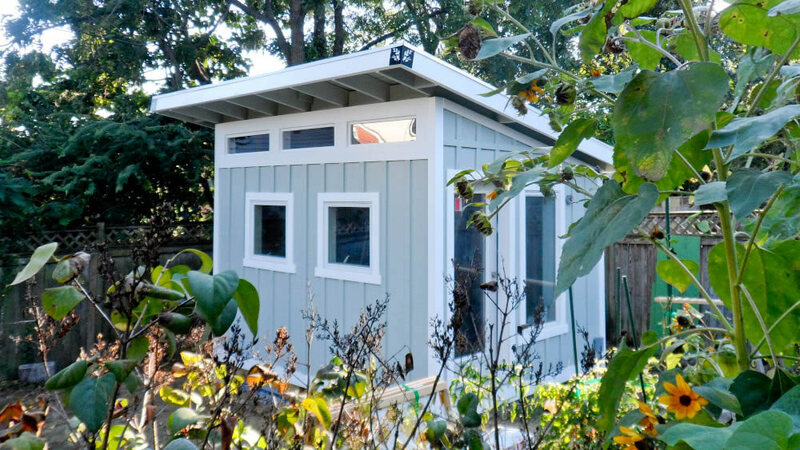 The gambrel shed is both beautiful and useful. 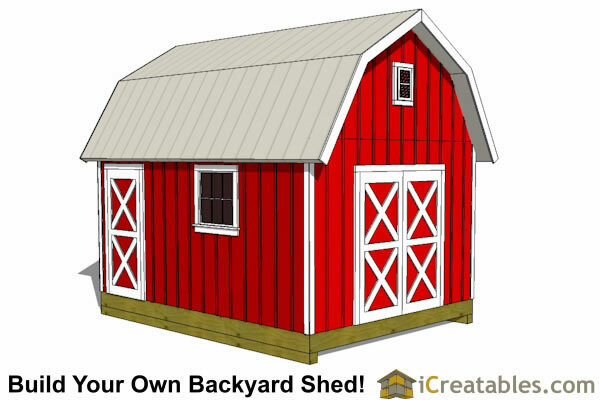 The roof design makes your storage or work shed look like a country barn. Inside that same roof creates a large attic space for increased storage, almost doubling the floor space of the shed. The gambrel roof style is often associated with the Dutch carpenters whose wood working traditions brought this beautiful roof style to the Americas. Our Gambrel roof design uses just the right angles to provide lots of storage space in the ceiling area on the inside and at the same time creates a beautiful gambrel roof line on the outside. 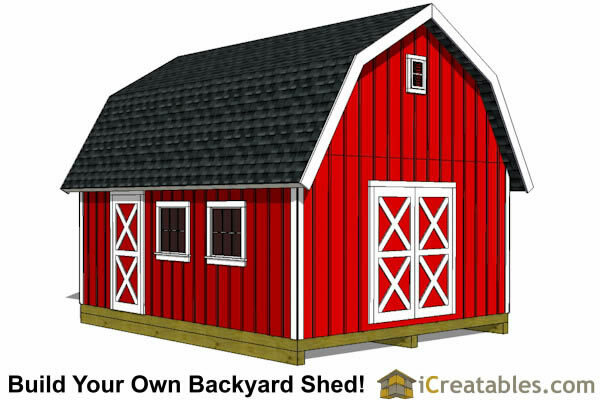 Now everyone can have their own barn in the back yard. 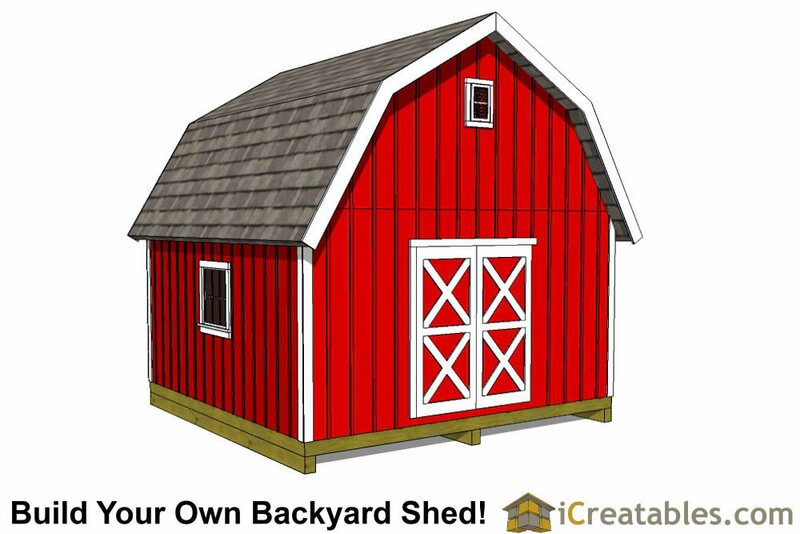 Our barn shed plans are designed to closely resemble a full sized barn. 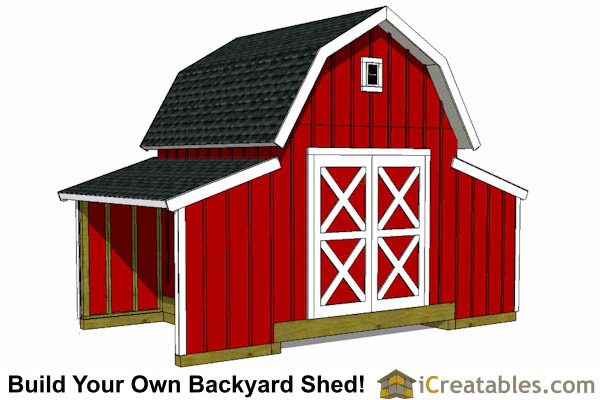 Building one of our shed barns in your backyard will bring a little bit of country side living to your yard or garden. 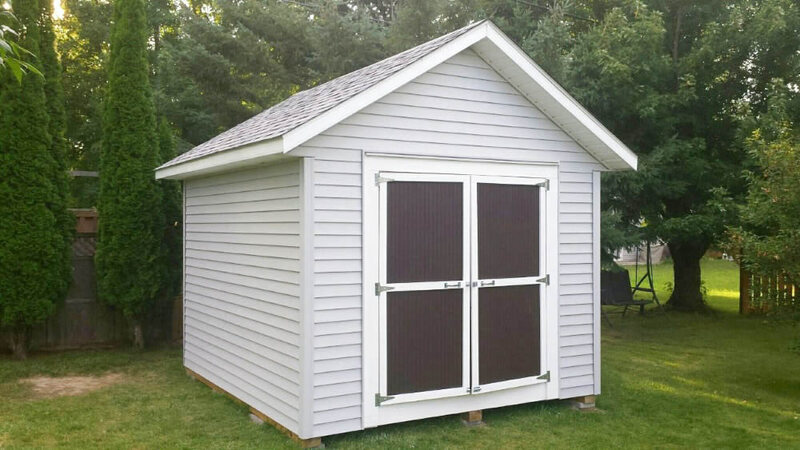 Our gambrel shed design offers both the beauty and utility of this unique design. 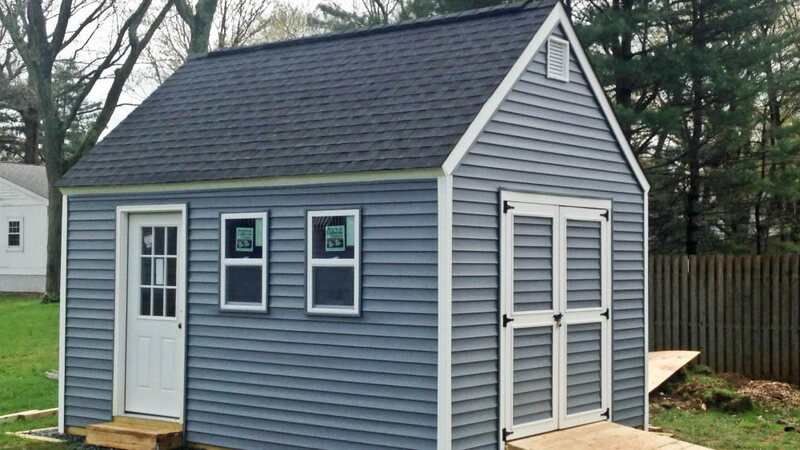 All of our gambrel designs that are 10' wide and larger have a overhead loft storage space up in the roof structure that almost doubles the useable floor squre footage of the shed. You can check out our Shed Heights page to see how much room is in these shed roofs. Our barn shed plans are a great way to help you build the shed you want and need at a cost you can afford. 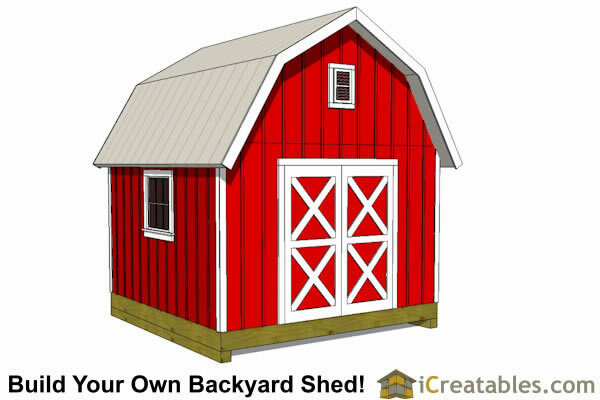 Building your own shed from barn shed plans gives you a sense of satisfaction and pride knowing that you built it everytime you look out in the back yard or open its door. 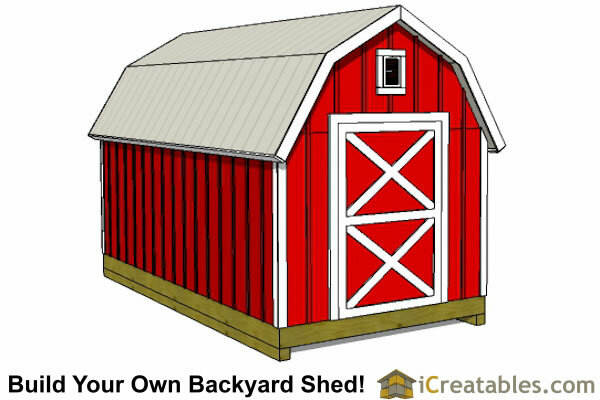 A gambrel barn shed roof has four roof planes, two on each side of the ridge. The upper slope is built using a shallow angle. The lower slope is steeper. This design creates a larger space under the roof structure that greatly increases the storage capacity and floor space of the shed. It also keeps the overall height of the shed lower than it would be if the same head clearance were built into traditional gable rafters. The classic American monitor barn is another great barn style that has plenty of storage space. The monitor barn is characterized by a center barn that is raised up from the lower roofs on either side of the center structure. 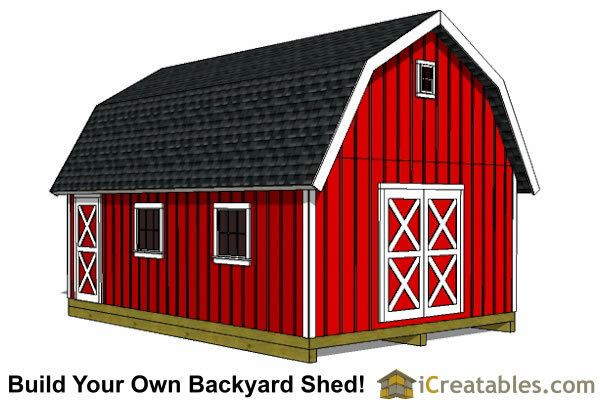 Our barn shed plan designs offer a large center space, and then two covered sides that are essentially lean to sheds. 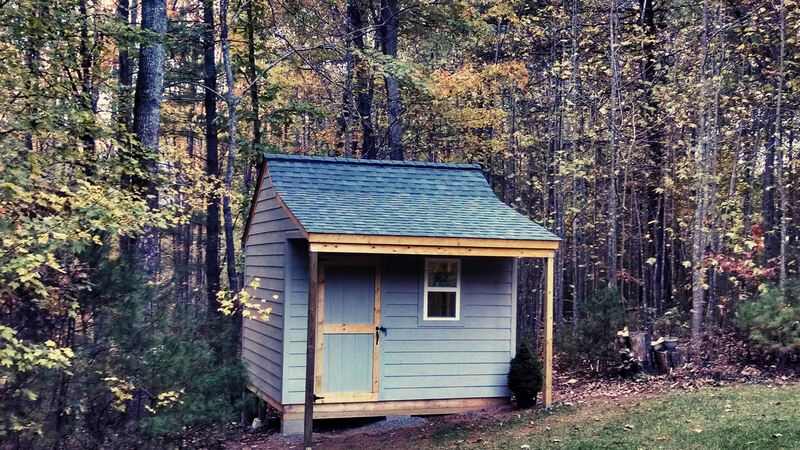 Our raised center aisle shed is a gable style that has two roof planes meeting in the center with a single ridgeline. It does give some storage space up in the trusses but not quite as much as the gambrel garden shed. 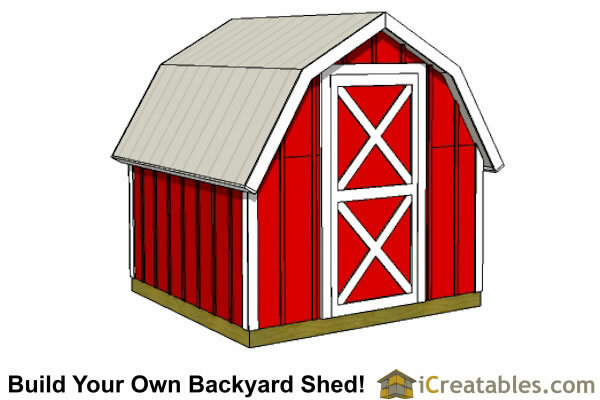 Materials List: All of our gambrel shed plans include a materials list. The list includes the fasteners needed. 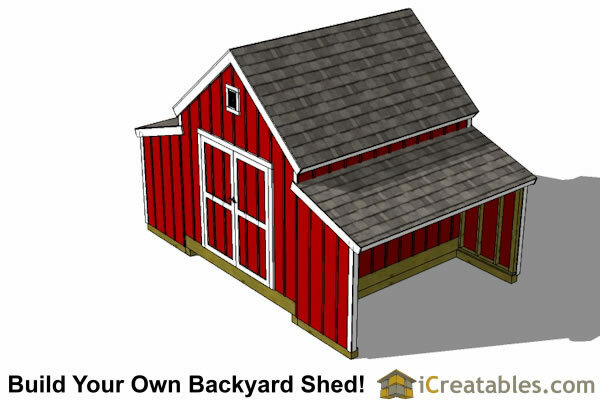 There is also a helpful numbering system that tells you where each part goes and corresponds with the framing plans for each part of the shed. Wall Framing Plans: Each of the shed walls wall framing is shown to instruct you where each board goes. It includes dimensions so you know how long to cut each board and labels so you know what piece from the materials list should be used. Rafter : and details of each of the gambrel roof connections. 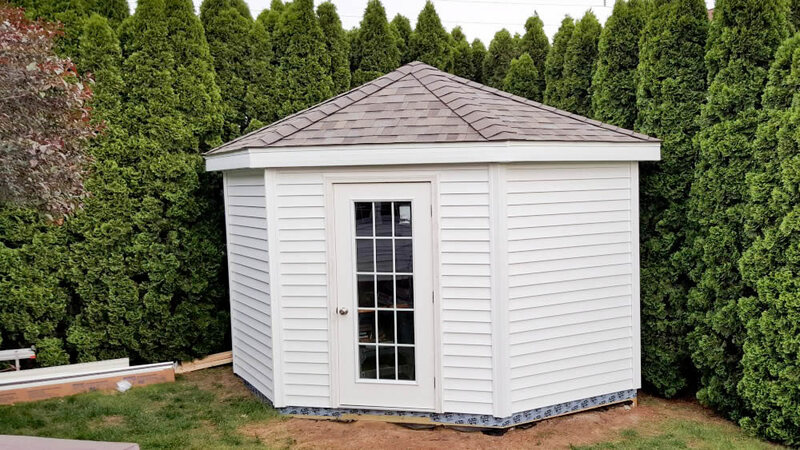 The gambrel shed plans also include full sized for the roof framing angles to help eliminate the guesswork in putting this beautiful roof together. Loft: The larger barn shed plans have a full sized loft up in the roof area and the smaller sheds use the roof area as part of the main floor storage space. Our loft design is built so that there is 7 feet of head room on the main level. This brings the loft floor down below the top plates of the shed walls which increases the storage space and headroom in the loft while still leaving plenty of headroom on the main level. All plans that have a loft include detailed instructions describing how to build the shed loft. 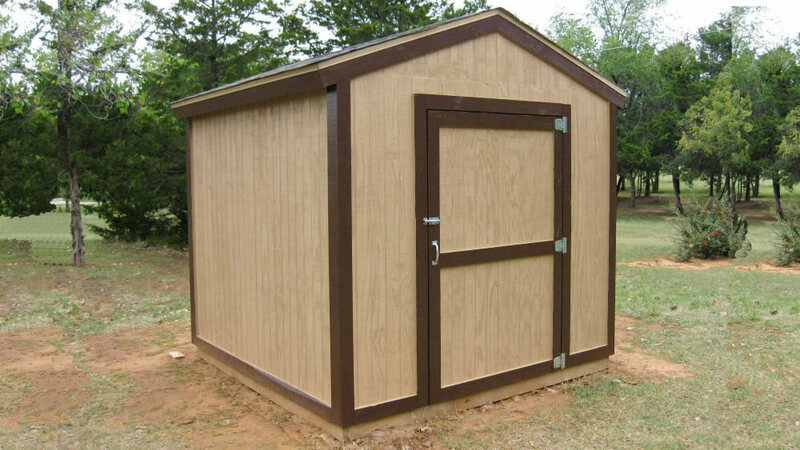 Foundation Plans: All of our gambrel roof shed plans include multiple foundation plans. Doors: The shed door plans are included with each set of plans. 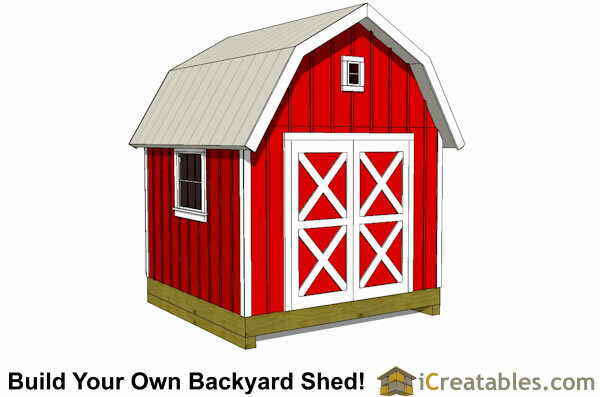 Our larger barn shed designs have the ability to have either a pre-hung door that is purchased from a local door shop installed or you can build your own door(s) using the plans. Build your Gambrel Barn Shed Today! Check with your local building department to understand building guidlines for your area. 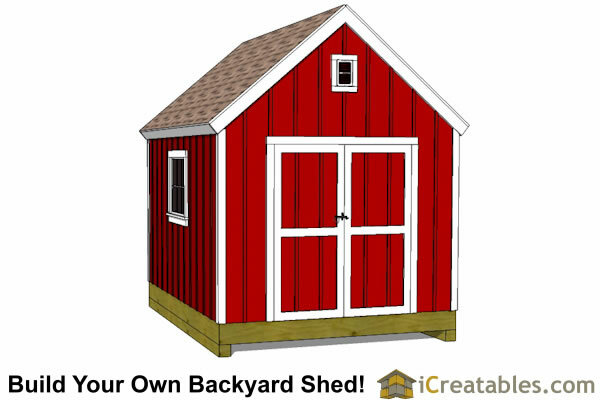 Pick your shed design based on size needs, budget, and guidlines. Using the included materials list to get cost estimates for the materials. 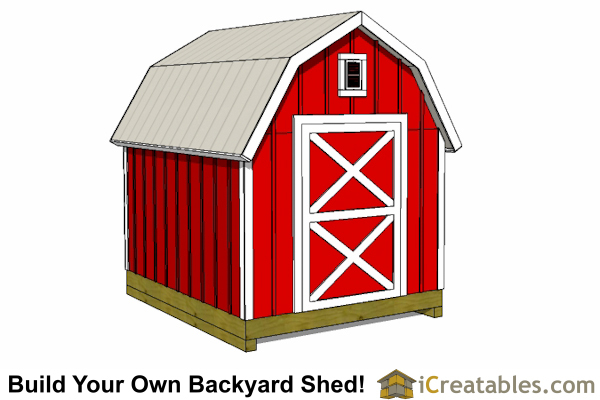 Determine where to best build the shed. Order the materials and start building! 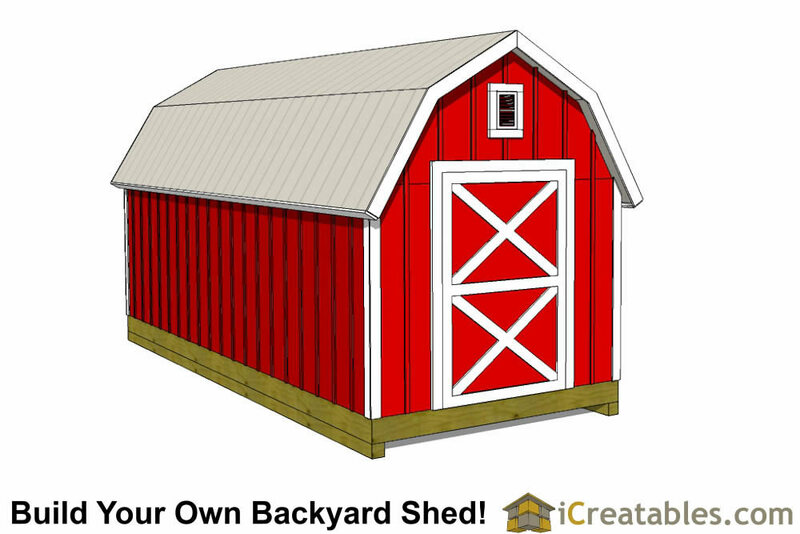 The How To eBook shows you how to build the gambrel roof rafters as well as all the other components of the shed. 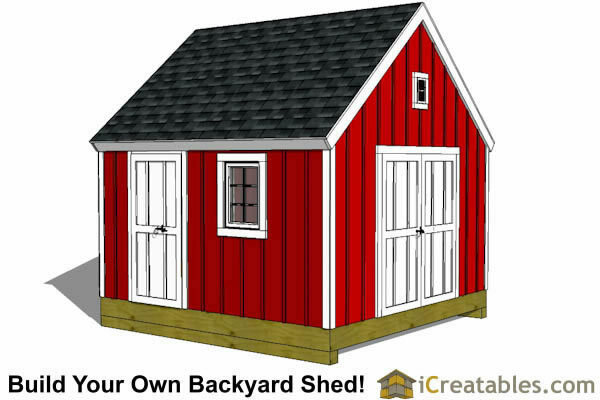 We also have a helpful video series showing the basics of building a shed including floor and wall framing, installing siding and roof rafters, sheeting the roof, installing trim, building the shed door and painting. 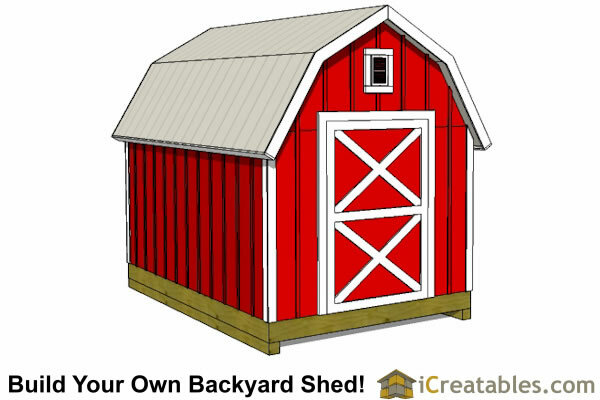 So start today and and pick the gambrel barn shed design that is right for you. 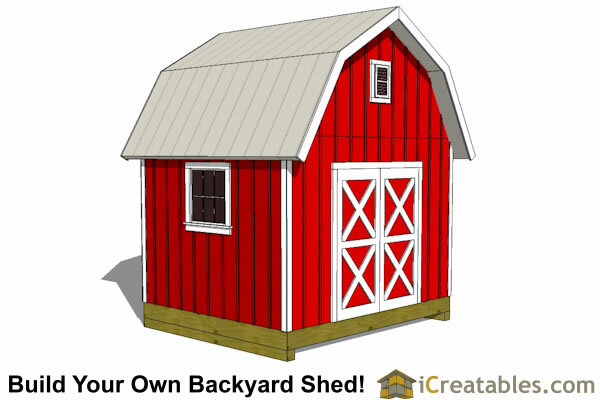 Check out our different sizes and designs by clicking on any of the barn shed plans links above to view more plan details.